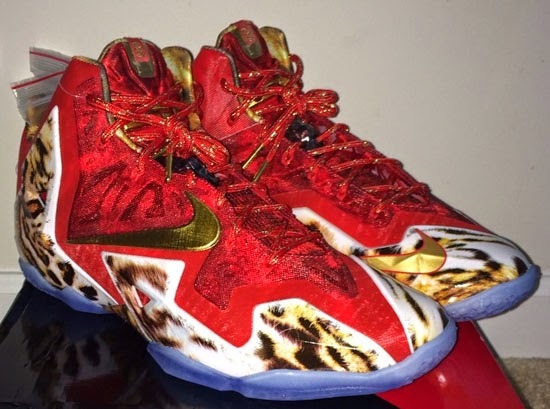 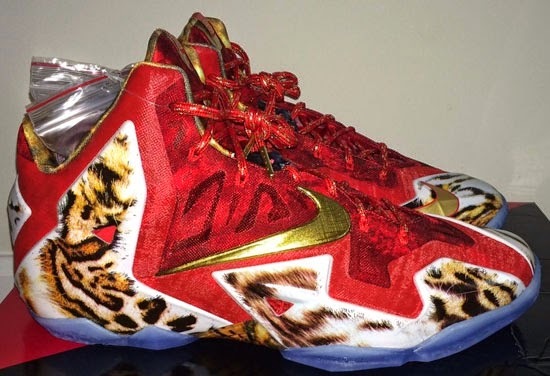 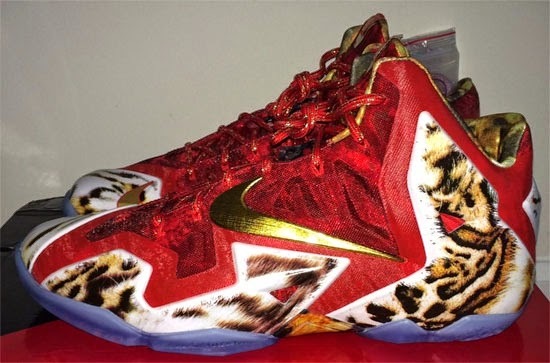 Known as the "NBA 2K14" edition, this special edition colorway of the Nike LeBron 11 Premium comes in challenge red, metallic gold and ice blue. 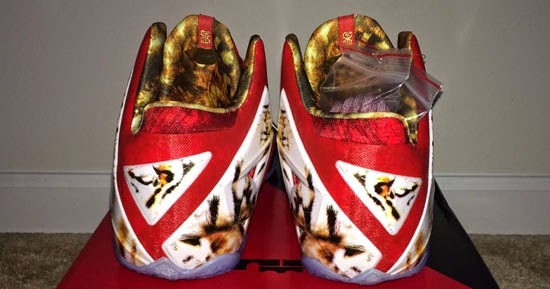 Limited to 2,014 pairs only available to those people who played the game for PS4 or X-Box One in the "My Career" mode an unlocked the special code with a link giving you access to order the shoes. 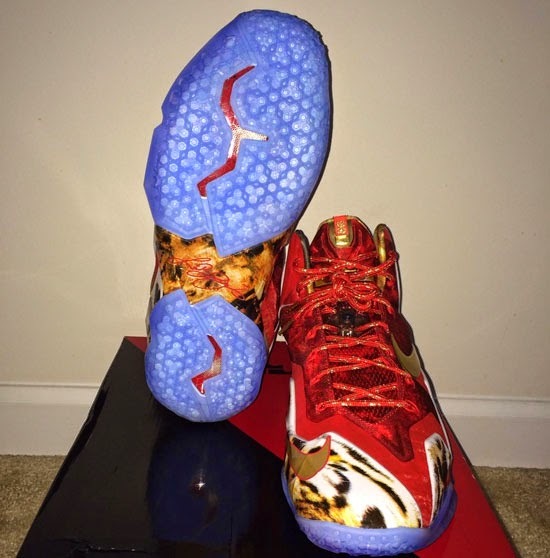 They sold out in a matter of a few months and were not re-released. 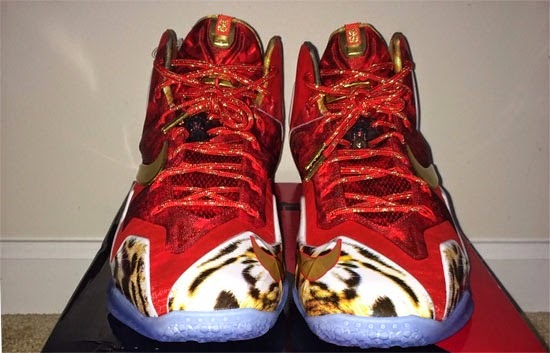 Enjoy the images below of the "NBA 2K14" Nike LeBron 11 Premium in challenge red, metallic gold and ice blue. 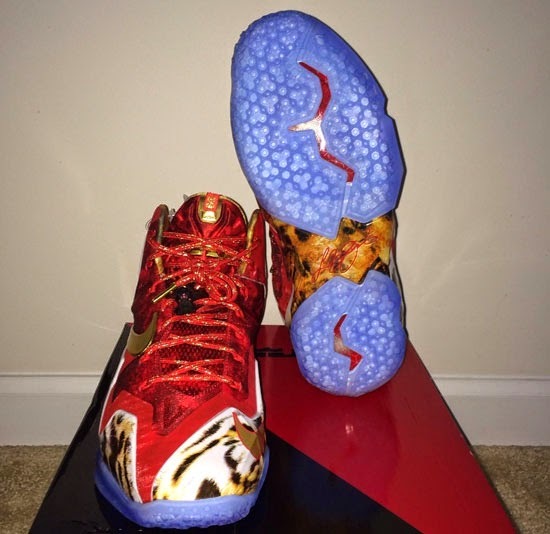 If you're interested in obtaining a pair, you can grab them from eBay here.